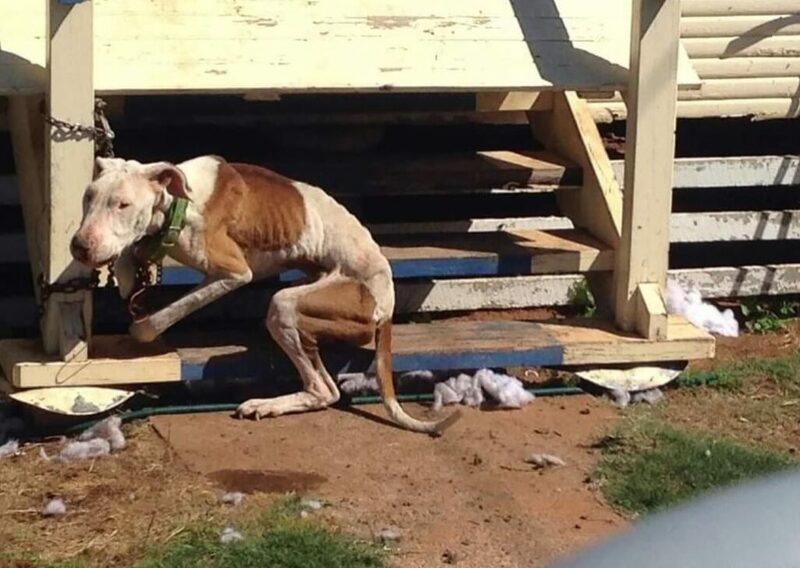 In Chinchilla, Queensland, Australia, the heartbreaking photo of an emaciated dog chained tightly to a post with no food or water continues to go viral on social media. Now the question remains how to save the life of this suffering pooch legally. Kitt Kat Care, a nonprofit has been in contact with the RSPCA Queensland after appealing to animal advocates for help identifying the address where the photo was taken. It is illegal to trespass on someone’s property and remove the dog, however were advised by the animal protection organization to feed the dog. Animal rescuers have identified the address where the dog was chained. The latest report on the distressing situation states the owner moved the dog into their residence. The RSPCA Queensland has been dispatched, and is expected to arrive shortly. If you see something, say something. Reports concerning animal cruelty and neglect can be made by clicking here.